Event Partner Training & Materials! The EP and Volunteer Training Call Schedule has been posted; and we recommend you join these calls to get the latest program updates, ask questions, and learn valuable tips from other EPs. The materials that Event Partners will need this season are all available in one convenient location, please visit Event Partner Resources & Documents. You can also find volunteer training materials, including the Referee Guide and the training call schedule, now available on the Volunteer Resources page. The Event Partner section on the VEX Robotics Forum is another great location to share information, connect with other Event Partners, and ask questions throughout the season. If you are not yet part of the EP VEX Forum, please provide your VEX Forum user name and email address to your Regional Support Manager and request to join today! RobotEvents.com now enables Event Partners to manage a wait list for a particular event. This new functionality also means that EPs can reach out to unpaid teams in a week or two in advance of an event to encourage their payment to secure they spot. If an unpaid team is unable to confirm, the EP would now be in a position to offer that registration to a team on the wait list. We always encourage EPs to use their own discretion, but these new tools should make event management much easier! The REC Foundation is happy to provide another valuable resource for Event Partners and Volunteers. Download our mobile guide to your tablet or phone today and get pertinent documents and resources (updated weekly) for use before and during your event. 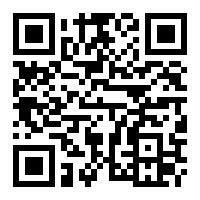 Download this guide by searching REC Foundation in your devices’ app store or by scanning this QR code. Volunteering as an Online Challenge Judge is a great way to get involved without leaving your home or office! This season we anticipate an even larger number of Online Challenge entries than last year, so we’re working hard to gather a great group of individuals to volunteer as judges. As an Online Challenge Judge, you can volunteer from the comfort of your own home; all you need is a computer and an internet connection. Judging begins in late January and completes in February. Time commitment varies based on the topics that you are judging, and all skill levels are needed — so we can match you with the challenge(s) that best fit your schedule and interest. Topics include robot construction, web design, STEM education, girls in robotics, video production, CAD design, and much more. The final game manuals for VEX IQ Challenge Crossover and VEX Robotics Competition Starstruck are now available. Please be sure to review game manual updates before the start of season! In addition, Tournament Manager updates are also available and were posted on November 28, 2016. Quick reminder that day-of-event team changes are not allowed. Teams will be encouraged to make any requests to switch a team number for a particular event at least 48 hours in advance. Any requests made later than that are at the discretion of the Event Partner. This policy comes as we know well the level of detail needed to ensure an event runs properly and day-of changes can negatively impact an event for everyone involved. The REC Foundation welcomes our community of coaches, teams, teachers, and others to connect with us on our social media channels. We welcome you to share news from your events, your team meetings, activities you participate in and more! Follow us on Facebook, Twitter, or Instagram today, tag us in your posts and use hashtags #VEXRobotics, #VEXIQ, or #omgrobots this season!